Middle 2007 i was in for two weeks on Bali in Indonesia for travel. I arrived at Denpasar near Kuta beach where i was staying 2 nights at the Poppies Gang 2 in a guest house. Kuta Beach is a party village. Nearly everywhere are bars, hotels, surfboard rental, restaurants, “massage” shops, disco´s and scuba dive schools. 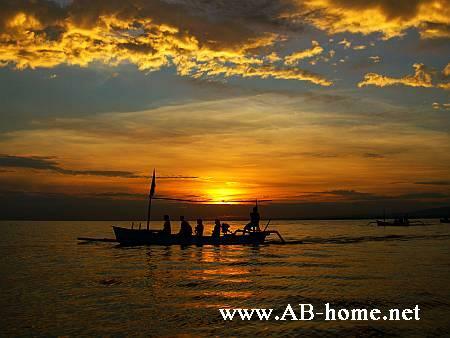 The most of the young travelers are Australians who come here to south Bali for holidays. A lot of them are here for surfing because the Indian Ocean have nice waves to surf and the bars give good options for party. My next destination was Sanur Beach witch is much more relax than Kuta. The most tourists here at the Badung strait are Families and Couples. From here i did a day trip to Padangbai where i did with “Absolute Scuba Bali” two dives at Nusa Penida and one dive at the”Blue Lagoon” dive site near Padangbai. 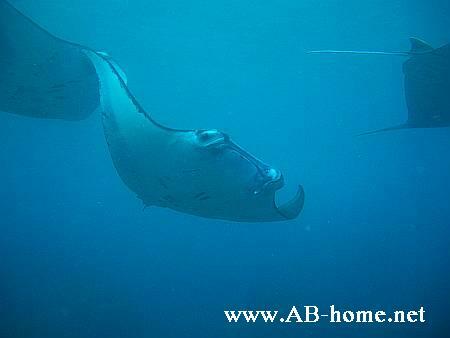 The first dive was on the “Manta Point” at Penida Island. It was amazing! We was just 12 meters deep when we saw six big Manta Rays. The biggest was about 4 meters long and 6 meters wide. Four of this huge fishes was in a group and circle around us during the 5 meters safety stop. 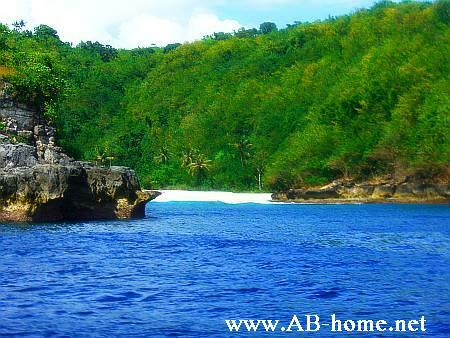 On the second dive at “Chrystal Bay” I saw many colorful fishes and nice marine life. The water temperature of the sea was 26 degrees, a bit colder than on my home Koh Chang, but still perfect for tropical scuba diving. At this time i was an Padi Advanced Open Water Diver but its not necessary. It´s enough if you have your Padi Open Water Diver certification. The Padi 5 star center “Absolute Scuba” was the right choice. Friendly staff and good maintained scuba equipment are normal at this base. At next i was going with a minibus to Ubud. Public transport are rare here on Bali in Indonesia but there are some TAT offices who offer some good but expansive possibilities for traveling. 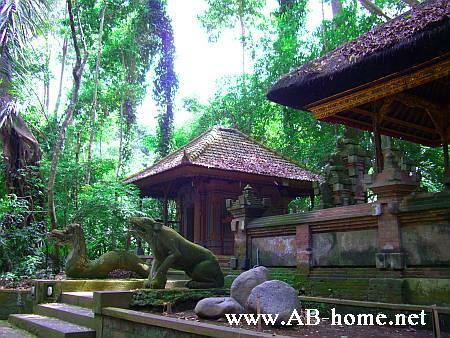 In Ubud are tight jungle with some beautiful dragon temples and many monkeys. In the south of the city is the “Monkey Forest Sanctuary”. Here you have to be careful of your snacks and bags because the wild animals are pathological kleptomaniacs. Ubud in southeast Asia is famous for all kind of courses, for more information ask the local tourist office or look in your Lonely Planet southeast Asia travel guide. 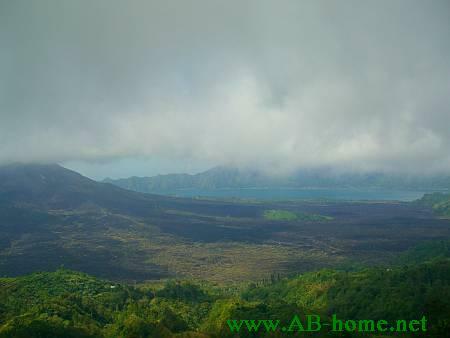 The next destination on the dragon island Bali was the Gunung Batur Area. The view from the Batur temple here, on the volcano Batur and the Danau Batur (Batur lake), is spectacular. From the viewpoint i took some nice pictures of the volcanic Gunung Batur. This trip i can recommend to all backpackers in Indonesia on Bali! The highest mountain here at Batur area is the G Abang with 2152 meters. 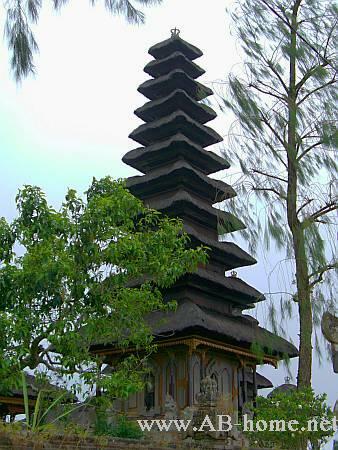 The mother temple of Batur is build in classical Bali temple architecture. From Batur I took a taxi to Lovina at the Bali Sea cost. The sand here is black because of the Vulcan stone. On the next morning i did a Dolphin Sunrise tour. We start early in the morning with small boats at the beach. The heaven was colorful and when the sun comes up we saw many dolphins around our boat, a unforgettable moment. At Lovina I stayed in a small guesthouse direct on the black beach. A little bit out of town is a nice Reggae Pub which i can recommend for good food and live music till late in night. 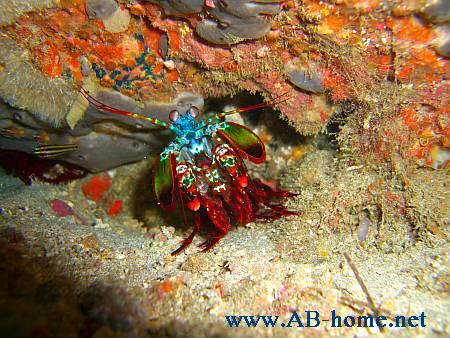 One of the highlights for every scuba diver should be Tulamben Amed. Here at northeast Bali sunk a big U.S. cargo in the second world war by a Japanese submarine. The dive at “U.S.A.T. Liberty” wreck start from the beach. Visibilities are not that perfect here than in other regions of southeast Asia but still 10 meters are ok to see this historical sunken cargo who start at 5m dept and reach till 35 meters in the Bali Sea. We saw some Hump-head Parrot fishes and colorful Lion fishes but the wreck of Tulamben was of course the main attraction on this scuba dive. It was a bit scary to see the big weapons decorated with corals, surrounded of the quiet sea. This dive i did with a local dive center at Lovina Beach. I paid about 70 USD for two dives on the tulamben wreck and we don´t even had enough weights with us. My Padi Divemaster guide took some stones inside his bcd to sink. The wetsuit which i had was old and a lot water comes threw, by nearly 2 hours diving and 25C water temperature not really funny. 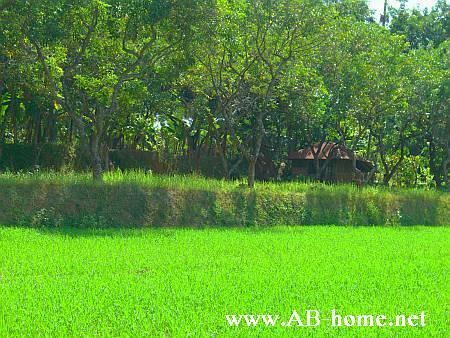 Ricefield on the way to south Bali. On my last day on Bali I traveled back to Denpasar to get my Air Asia flight to Kuala Lumpur in Malaysia. From here I had conection to Bangkok in Thailand to come back to my home Koh Chang in the Gulf of Thailand. Bali was a nice trip, i meet many backpackers from around the world. The most buildings on this Indonesian Island are dominated of the dragon cult. Bali is a bit busy but still nice to travel.